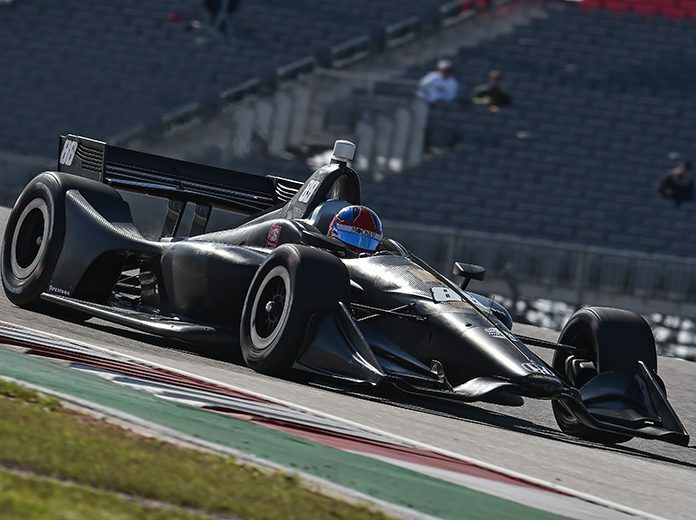 AUSTIN, Texas – Colton Herta arrived in the capital city of Texas this week expecting to be part of a two-car team at Harding Steinbrenner Racing that included reigning Indy Lights champion Pato O’Ward. On Monday, just 20 minutes before Herta was set to meet the media during IndyCar’s Media Day, the 18-year-old Herta read on Twitter that 19-year-old O’Ward had quit the team over lack of sponsorship. Herta was stunned but promised he would move on and make the best of the situation as the lone driver on a two-car team. He backed that up during Tuesday’s opening day of IndyCar Spring Training. Herta’s No. 88 Honda was the fastest in both the morning and afternoon sessions at Circuit of the Americas. His combined fast time was 1:46.6258 around the 20-turn, 3.41-mile Circuit of the Americas for a fast speed of 115.132 miles per hour. “The car was good right out of the box,” Herta said. “I think that’s kind of what put us there. Obviously, a new track to the NTT IndyCar Series, a new track to every team really. Everybody is just getting situated, trying to get the cars up to speed, find the right balance. “It’s a really tough balance to find because you have the fast-flowing stuff, and the really slow stuff is pretty tricky here. Yeah, trying to find that right balance. I guess we did that in session and that’s why we were on top. Team Penske’s Will Power was second in the combined sessions at 1:47.1044 (114.617 mph) in a Chevrolet. “We were trying to get it into a good (setup) window where you can make small adjustments on the No. 12 Verizon Chevrolet,” Power said. “We took some big swings at it today and (were) trying to understand when the tire comes in and how long it lasts, and what package we want to run. We wound up with a lot of big changes. Power was followed by teammate Helio Castroneves’ Chevy at 1:47.6949 (113.989 mph) in another Chevrolet. Two Chip Ganassi Racing drivers rounded out the top five. Rookie Felix Rosenqvist was fourth at 1:48.0451 (113.619 mph) followed by five-time IndyCar Series champion Scott Dixon’s 1:48.0474 (113.617 mph) – both in Hondas. Herta’s effort at Harding Steinbrenner Racing is being supported by Andretti Technologies. That’s a group of engineers and other personnel from Andretti Autosport that have formed a technical alliance with the team. Without the benefit of having a teammate, Herta will now be able to get technical advice from Andretti’s four-driver contingent that includes 2012 IndyCar Series champion and 2014 Indianapolis 500 winner Ryan Hunter-Reay, 100th Indianapolis 500 winning driver Alexander Rossi, two-time IndyCar race winner Marco Andretti and second-year driver Zach Veach. “We are going to have a technical partnership with Andretti, that’s not really new news, but we’ll share setups and they will help us out when we need it,” Herta said. “Once we get started out on the weekend and get a good platform, I’m confident in my engineers because they have been around for a while. Anything we find, we can help them and anything they find, they can help us. Herta admitted that he wished O’Ward had remained with the team so they would have been able to move forward together. Without the ability to fund two cars in the series, O’Ward’s time behind the wheel was going to be greatly reduced. “It’s going to be tough not having Pato as my teammate this year after we raced together in Indy Lights last year,” Herta said. 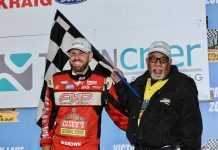 “We pushed each other in Indy Lights and made the car a lot better for Andretti Autosport and we bettered ourselves as well. Whether I was on pole, he was right there before him and whether he was on pole, I was right there behind him. A total of 1,034 laps were turned by the drivers on Tuesday. Spring Training continues Wednesday with another full day of testing for the 25 driver/car entries in the NTT IndyCar Series.